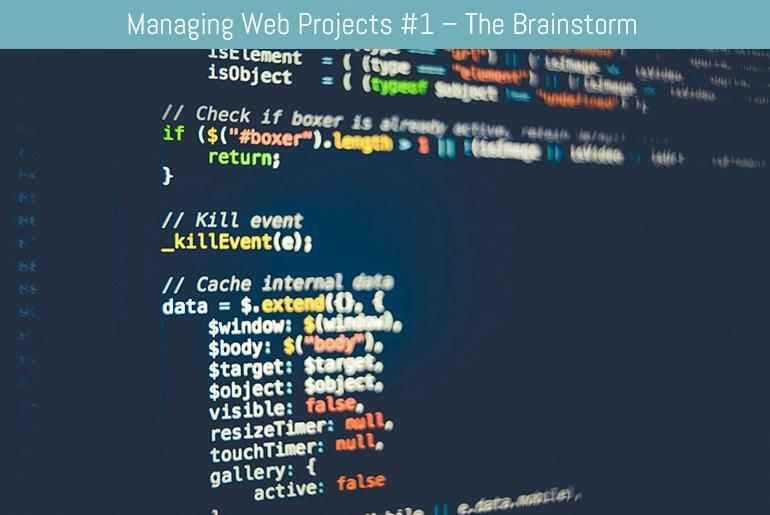 This is the first in a series of posts I will be writing about managing the full life-cycle of web projects. I am really interested in any feedback you may have so please feel free to comment or email me. For the first step in this series I mindmapped all of the parts of web development that I could think of, right from requirements capture to invoicing. I’m now planning to go through this and order the mindmap into a “best practice” workflow – what needs to be done first, what can be done concurrently etc. If you think I’ve missed anything out, please let me know. Look out over the next couple of days for part two in this series – The Website Workflow. “That’s a really valid point Robert. Whilst I have a section for Content, I have assumed that this is all provided by the client in a timely fashion (ideally before the project’s kicked off). When doing the workflow (which I’ve just started on) a lot of stages are dependant on having the content there – such as page design as this could vary depending on the content. Basically if the client can’t provide the content (or at least the format of the content) then the whole process is at a standstill. An important point to note is that if you are relying on Client delivered content, get it (and the deliverable date) in the contract so that you’re not the one penalised for late delivery, and they know it’s all their fault. “I have to admit, I’ve just started using electronic mindmaps, I usually just grab some big sheets of paper and scrawl all over them. In terms of during the project, I have used various tools such as Micorsoft Project, but at the moment use essentially a paper-based list system. “I was aware of Ganttproject, but I seem to be one of those who fall into the trap, where you keep using something because you paid for it – MS Project is the only product scheduling tool that I have used to date. One of the main reasons is because our clients are comfortable with MS Project plans. I am more a fan of MS Excel, and try to somehow manage to juggle between Excel and MS Project. Our IT team has written some good Excel macros that will populate an MPP file with data from Excel, which I email to my clients, and all are happy. I am also trying to see how I can successfully integrate Project Excel Outlook Freemind into my GTD workflow (which I am a novice at). But that could be fun. As far as brainstorming, I am not sure if I am the only one that feels, I wish I had a 40inch monitor to capture the entire Mindmap or notes. “Great website very informative, I was trying to download from “”I’ve put up the mindmap in 4 formats:”” but there is a dead link.